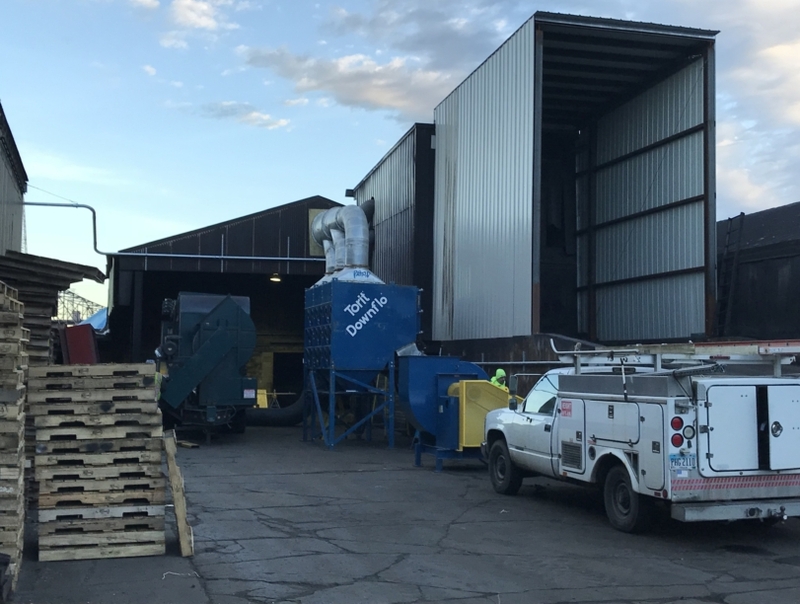 At S. H. Bell Company, the health and safety of our employees is our top priority and we’re committed to operating in a safe and environmentally-conscious manner. 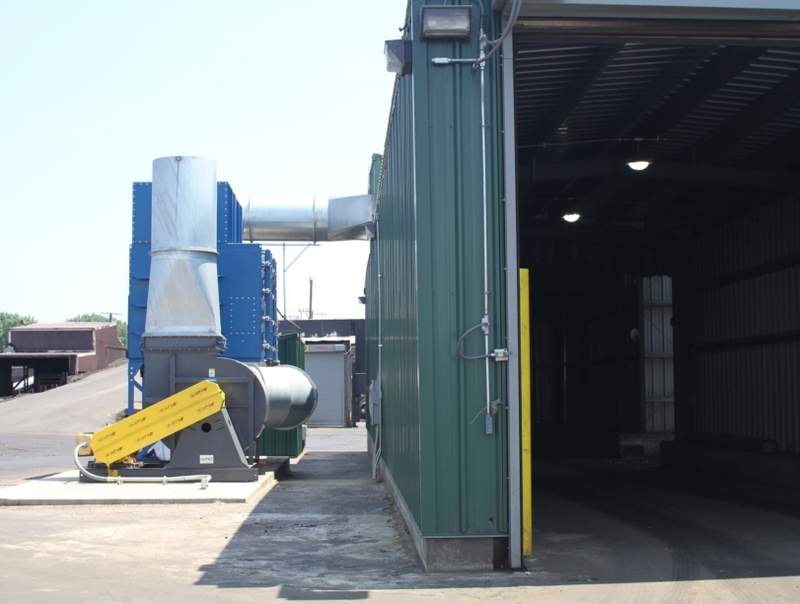 We’ve implemented many different environmental control methods and strive to always be in compliance with all EPA, state, and local regulations. 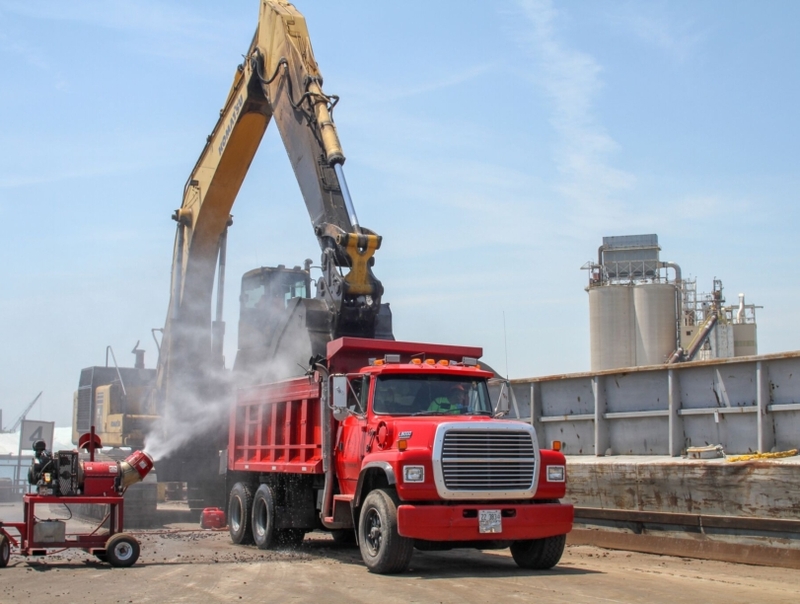 In keeping with our motto “Handling With Care,” our dedication remains steadfast to being a courteous and conscientious neighbor in the communities we call home. 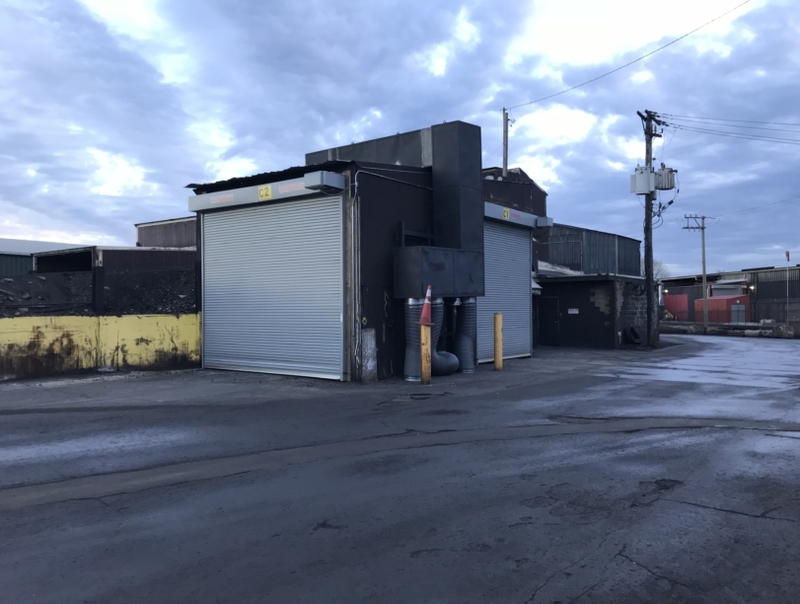 Over the past three years, S. H. Bell has heavily invested in upgrades and improvements at our South Avenue “O” facility in Chicago, with a direct focus on the environment and better serving our customers, employees, and the surrounding communities. 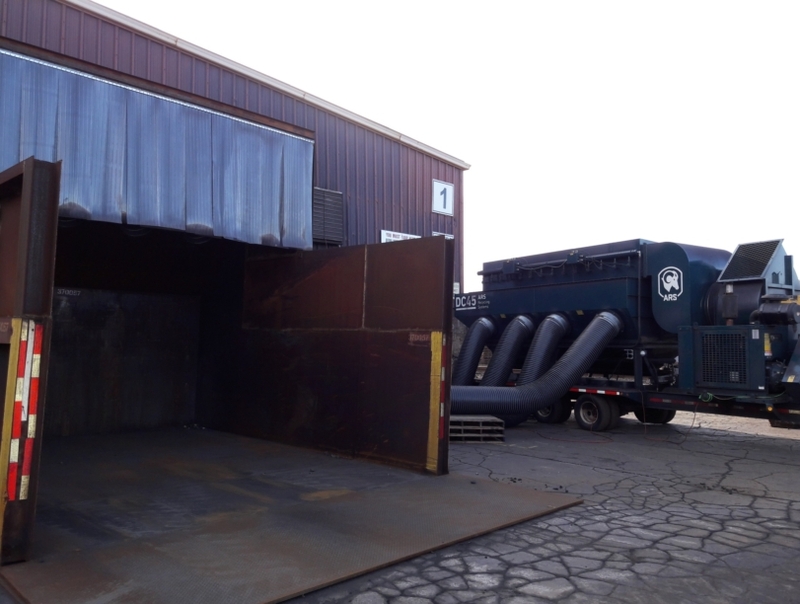 These investments include industrial dust collectors (“baghouses”); two bulk load-out sheds; new water, sweeper, and fog trucks; mobile misting units; two portable dust collectors and components; covers to the railway conveyors; a wind/dust screen; and many other infrastructural enhancements — as well as the addition of extra staff to ensure that all of these operations are carried out successfully and responsibly. 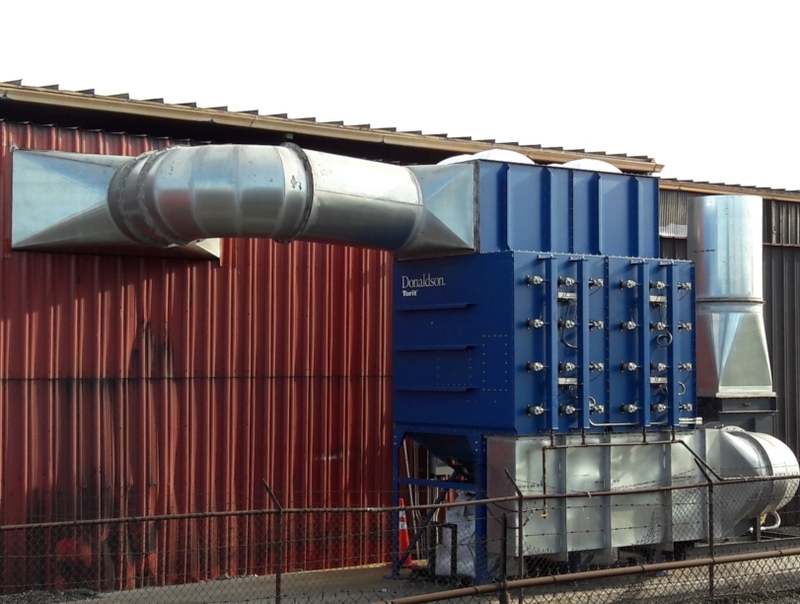 In early 2017, four air monitors were installed to measure dust particulates, and dust mitigation plans have been updated as we fulfill our commitment to going above and beyond federal, state, and local regulations. 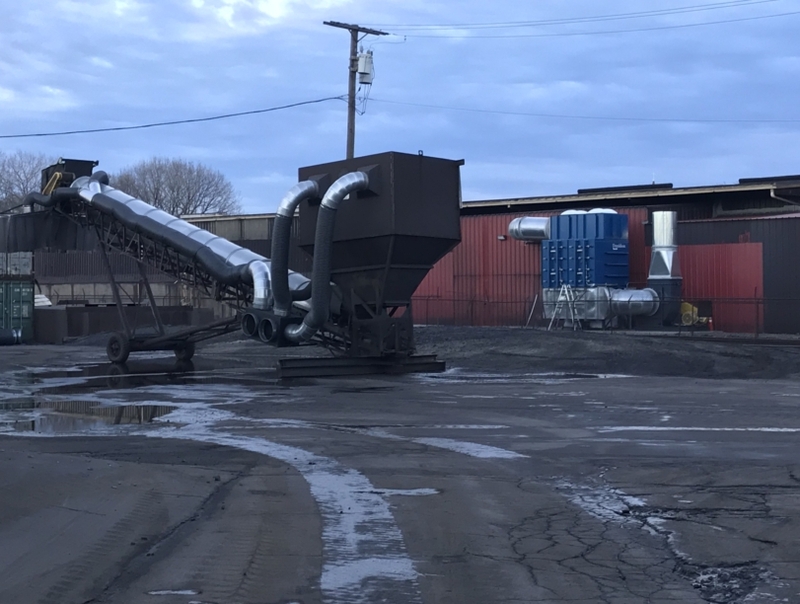 We are pleased to report that after monitoring airborne metals data for a year, the average level of manganese measured at our Chicago facility is well below the minimal risk level (MRL) established by the EPA and the Agency for Toxic Substances Registry (ATSDR). 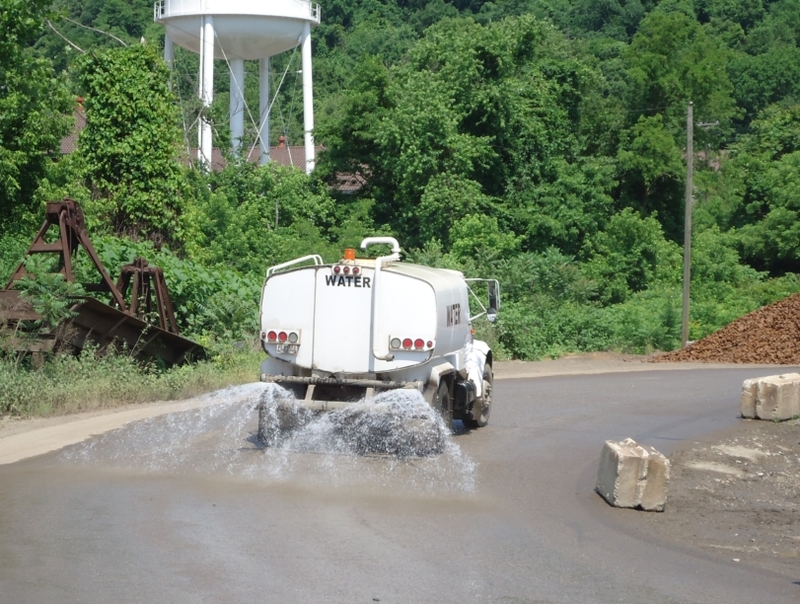 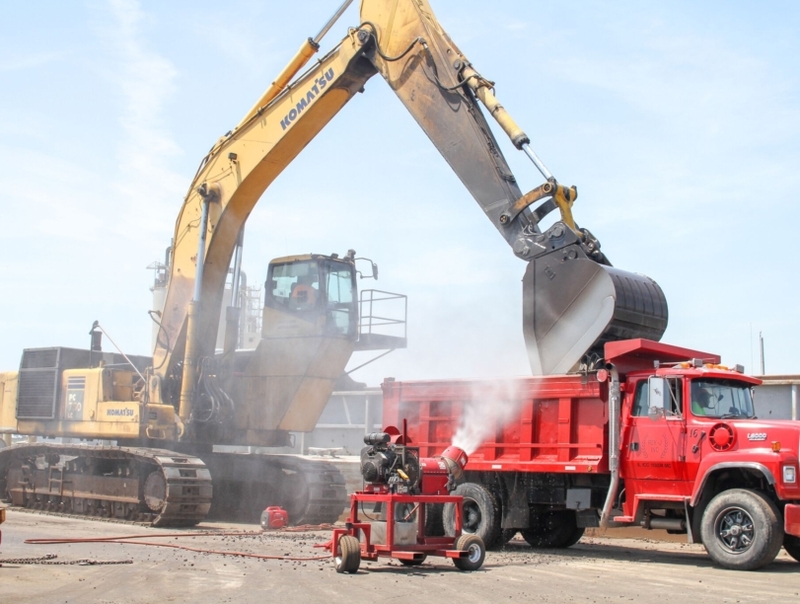 Our East Liverpool terminal has also undergone numerous operational improvements for environmental safety, including the installation of both filter-based and real time air monitors to measure potential emissions; application of roadway brine to control emissions during sub-freezing temperatures; use of mobile suppression units; and new enhancements to existing dust-collecting baghouses. 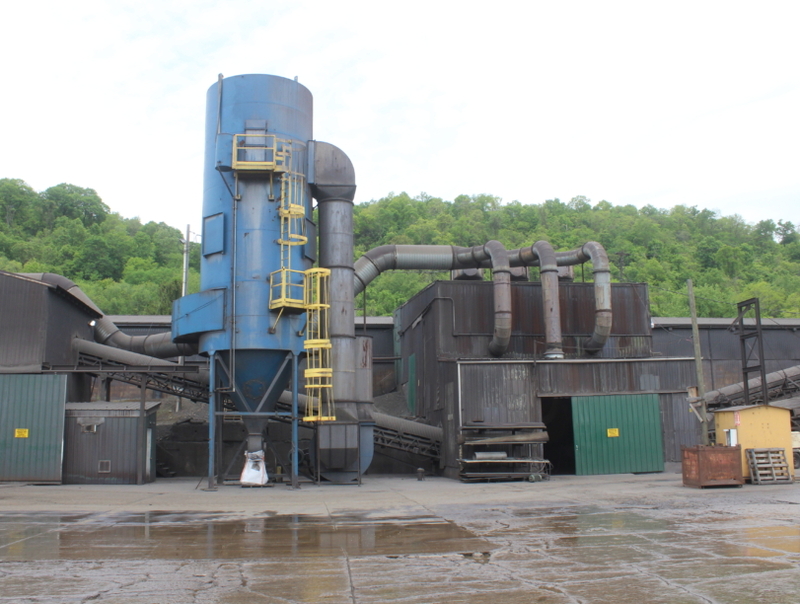 By consistently investing in the most current and best-available technology, S.H. 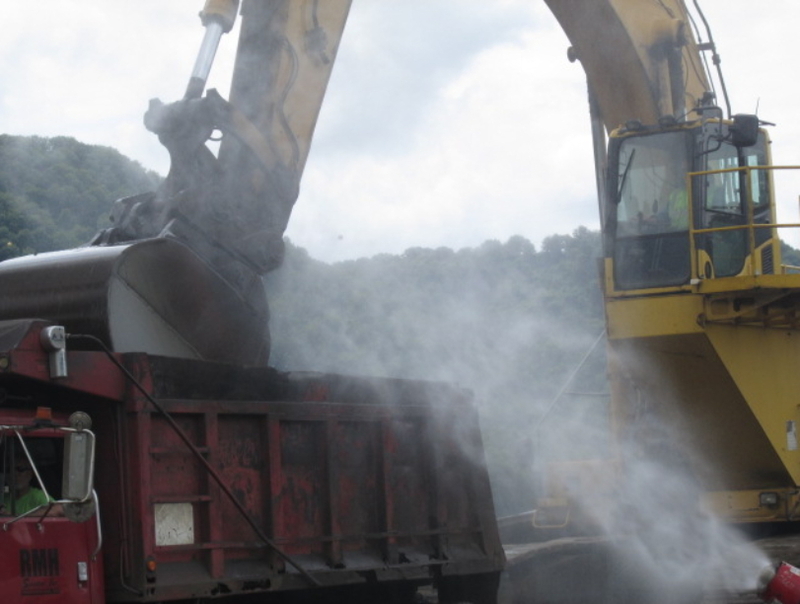 Bell is proactive about ensuring that all operations are conducted in a safe and responsible manner. 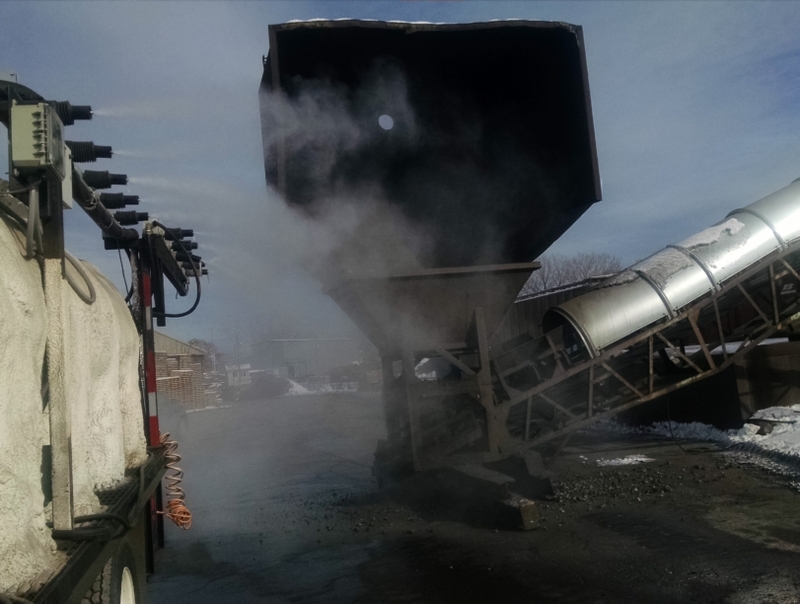 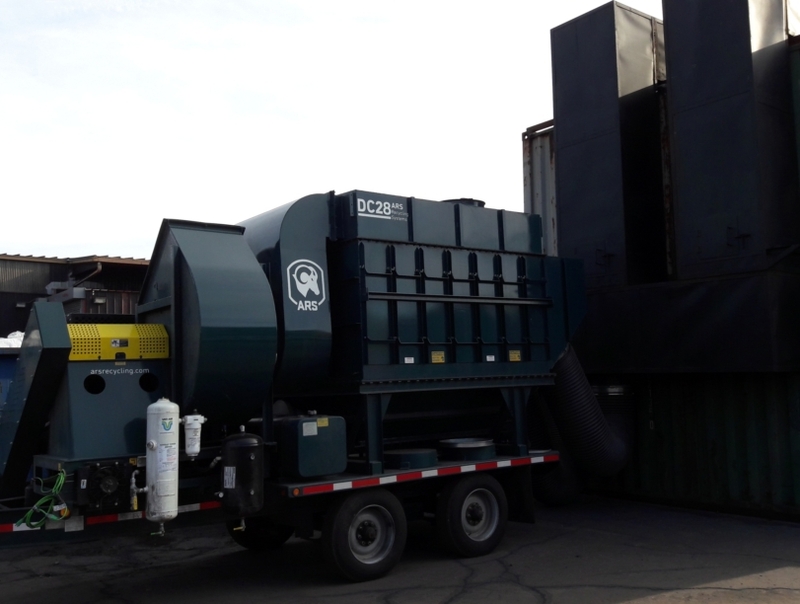 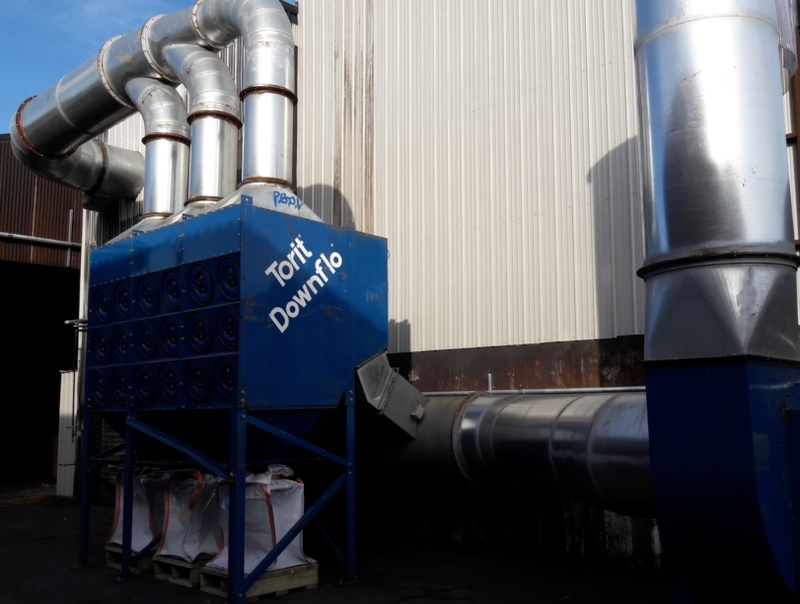 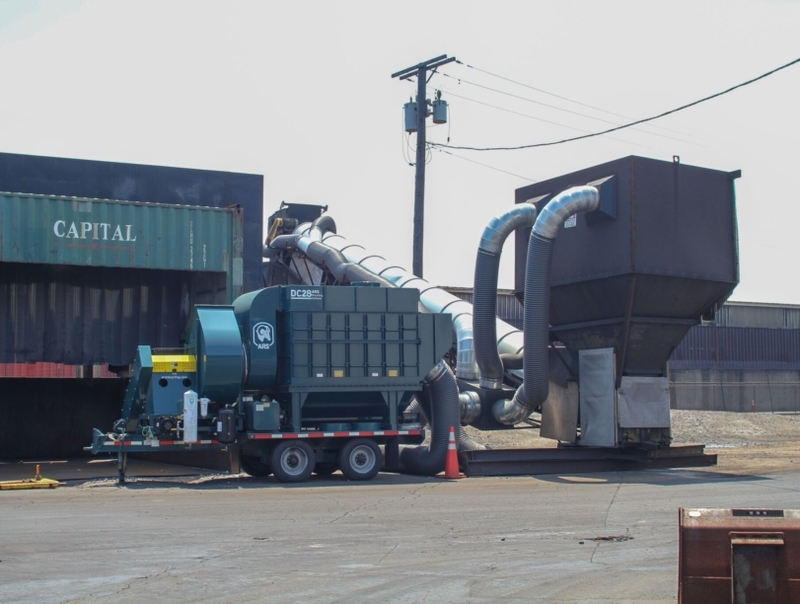 Screener and crusher units at our facilities serve to contain dust and emissions within a controlled environment while operations are conducted. 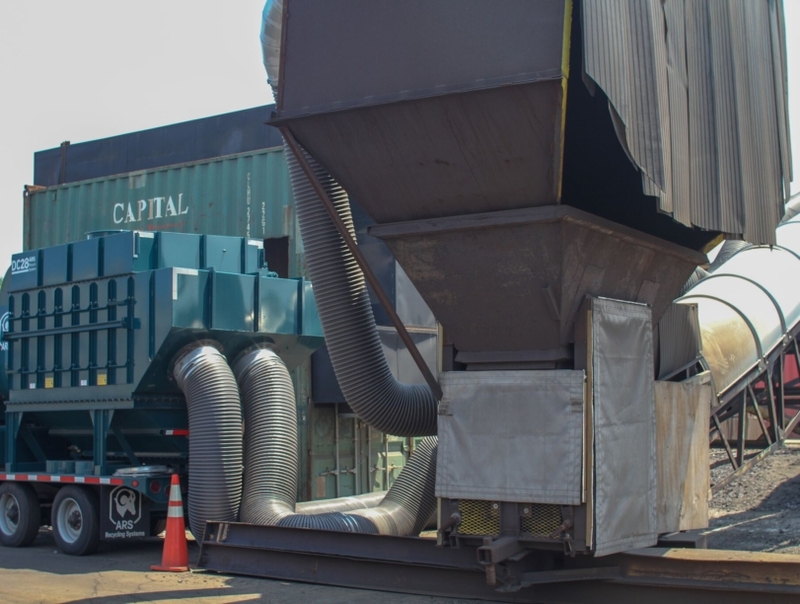 Conveyor to Load Out Railcars, which attaches to portable dust collector. 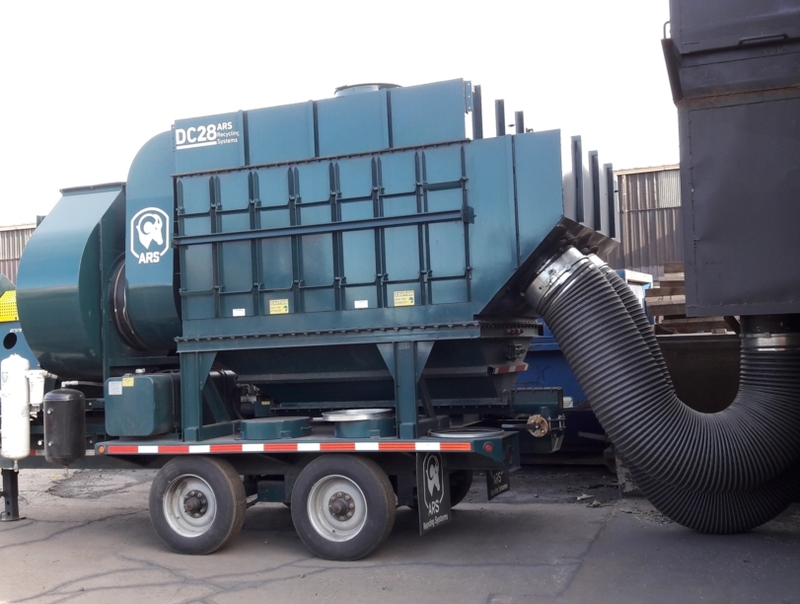 A portable dust collector that can be utilized at various operations. 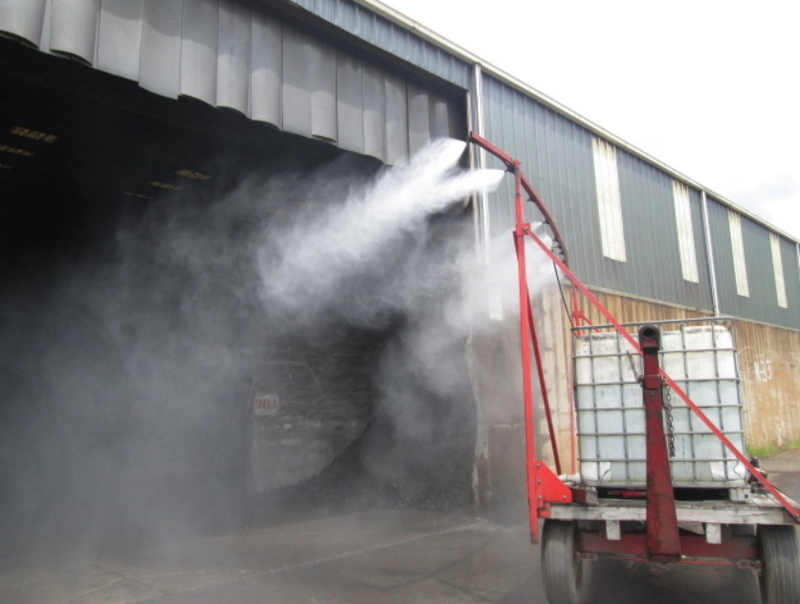 Overhead Dust Collection System and Fogging Carts assist in containing dust. 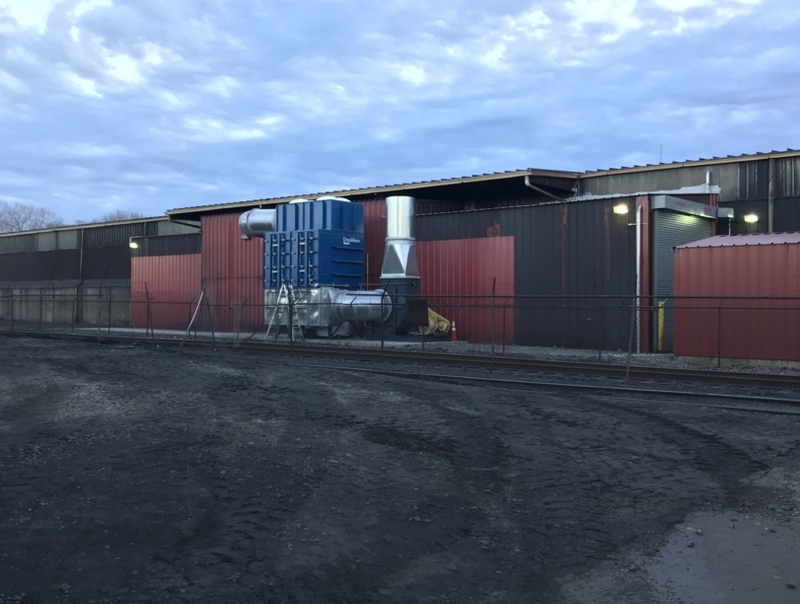 Load out sheds and baghouses are in place to control emissions while material is being packaged and loaded. 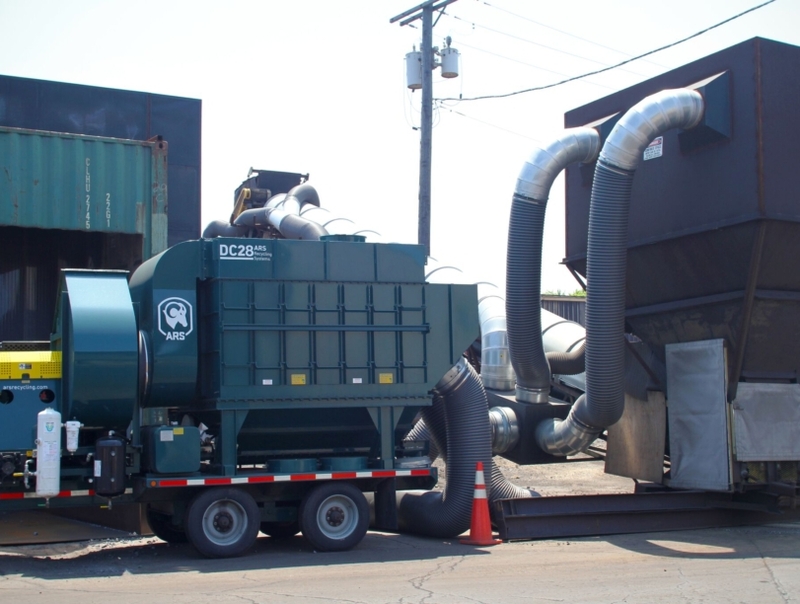 Portable and permanent collectors contain emissions and keep air dispersion to a minimum. 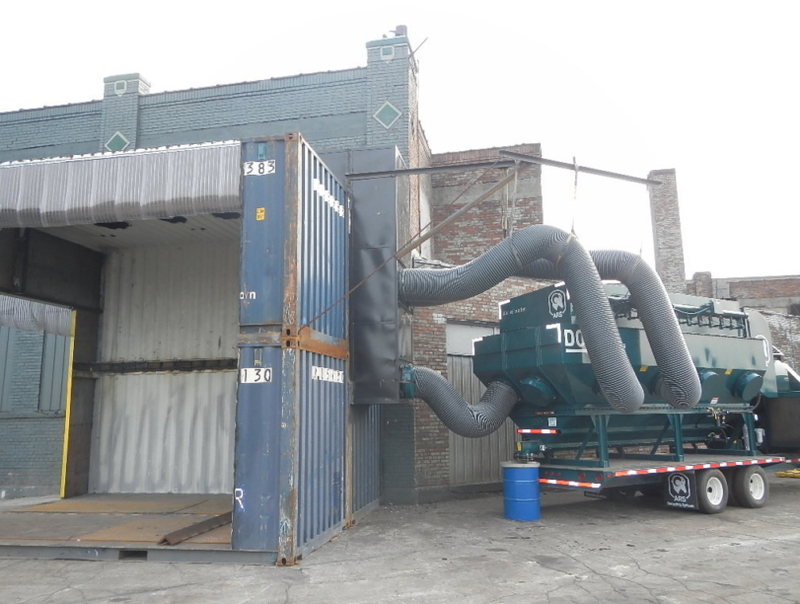 A baghouse at our Chicago facility. 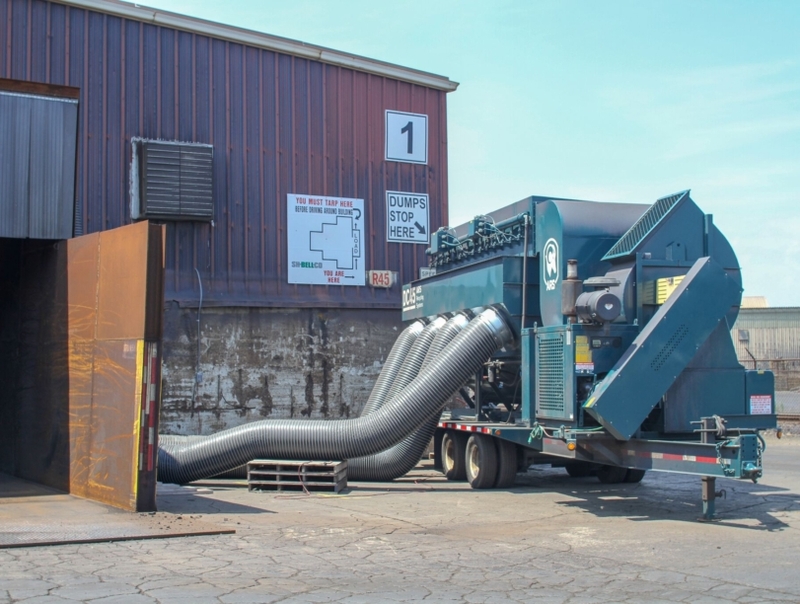 A dust collector at our Chicago facility. 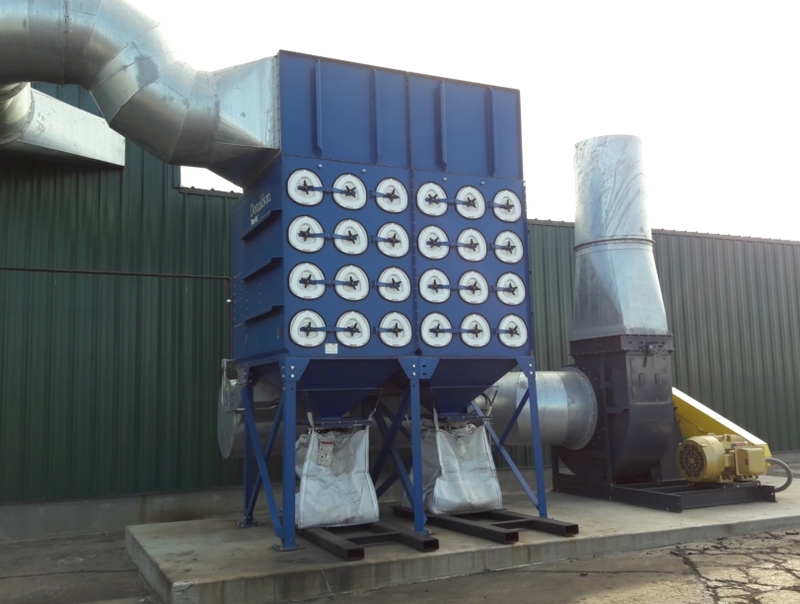 A portable dust collector, which can be used at various operations. 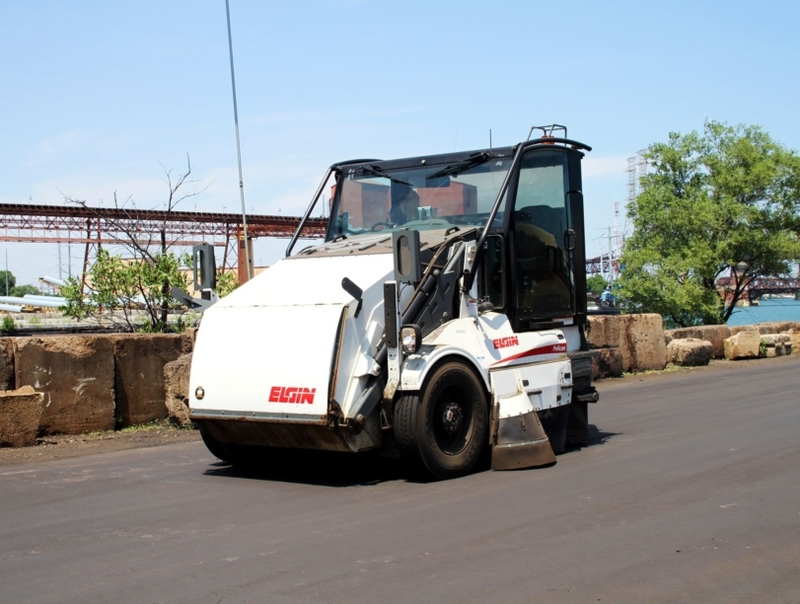 Sweeping and watering roadways ensures all emissions are kept at a minimum. 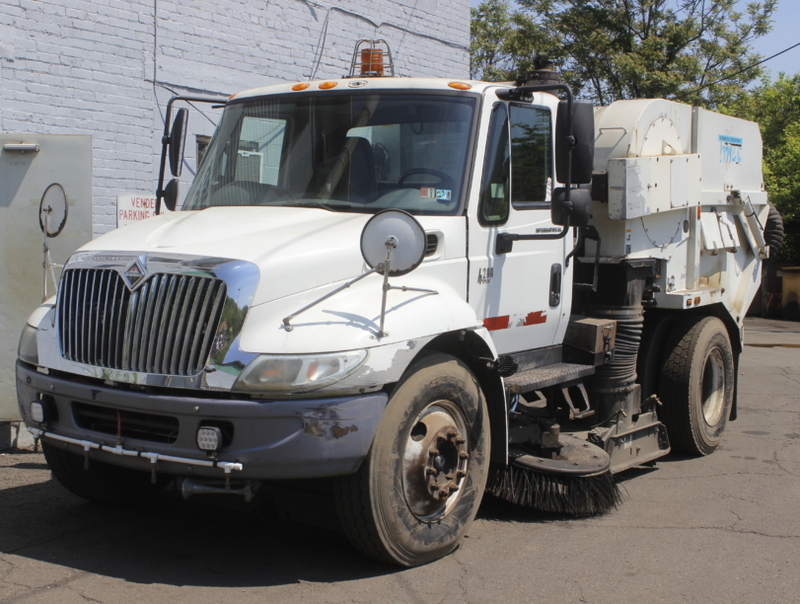 Continuous and thorough cleaning of roads and thruways. 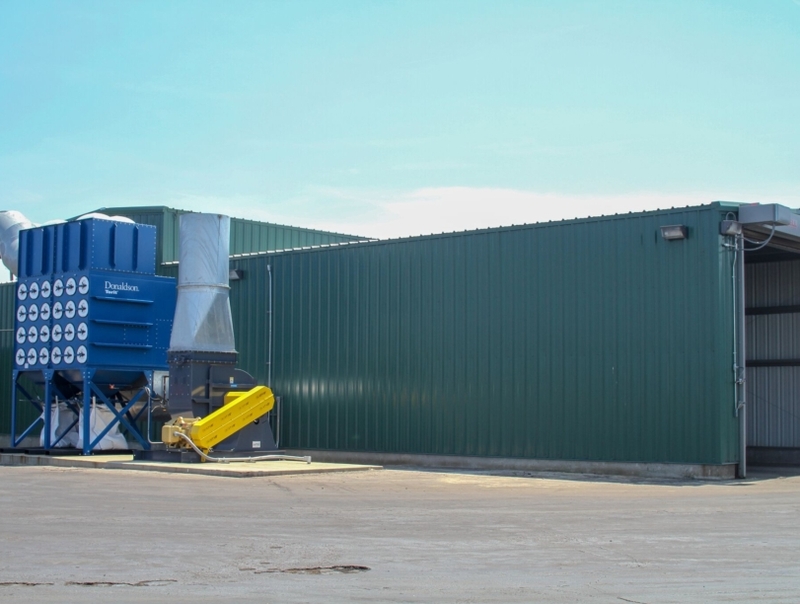 S. H. Bell Co. is committed to helping improve the environment by encouraging our customers and associated businesses to help reduce their carbon footprint. 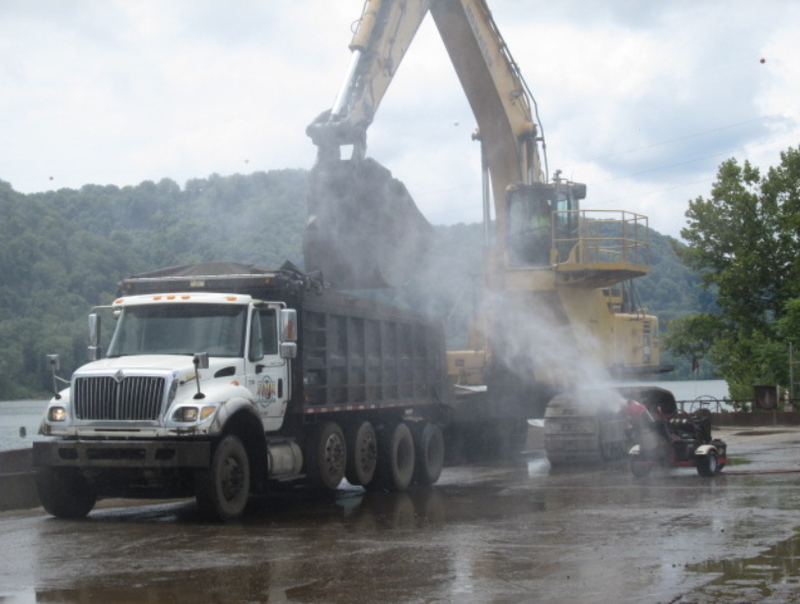 1 BARGE = 70 TRUCKS off of U.S. highways. 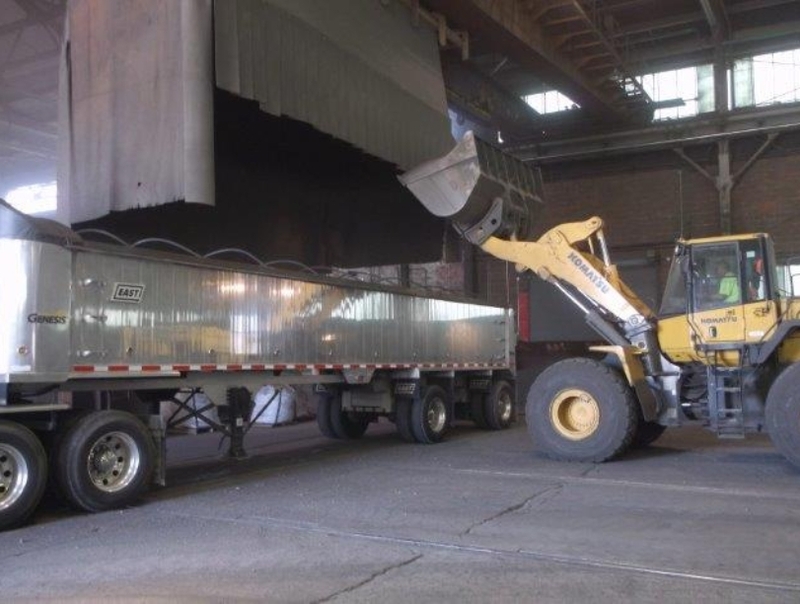 1 RAILCAR = 5 TRUCKS off of U.S. highways.